A Back-to-work "Lactation Motivation" initiative was concepted to help new mothers adjust to returning to work and having the support and confidence to continue breastfeeding while balancing work obligations. 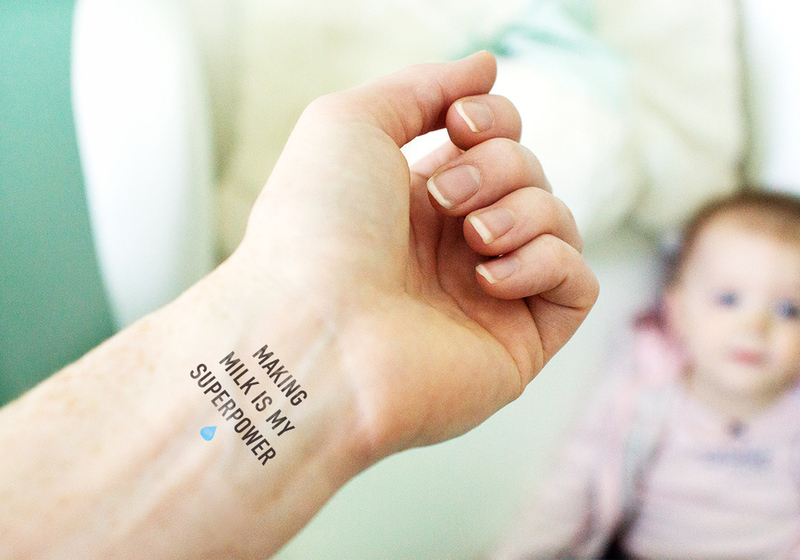 Temporary tattoos were created along with a series of posters to be hung in office workplace Mother's Rooms, NICU hospital floors, and La Leche League events, and other spaces mothers use to 'pump' milk. The messages aim to be inspirational and humorous, using lactation jargon while the design was kept simple and iconic. As part of the initiative, a complete social media ecosystem was designed to reach out to mothers seeking advice, guidance, and support online. Responsible for concept, design, copy, and art direction of photography.